By using the industry’s latest research and development of 3D inkjet printing technology, LOPO is able to produce the 3D inkjet printing terracotta rainscreen cladding. Compared with the ordinary terracotta panels, the biggest difference is the unique artistic effect. Inkjet printing technology can create the effect of three-dimensional printing. The texture will be no longer monotonous repetition. It is more clear, bright, and realistic. Every piece of panels is different texture, which is more suitable for large area of the wall To decorate. The principle of 3D inkjet printing technology, just as the office printing, is by using special ink, and then print the color design pattern on terracotta green-pressing through the computer transmission processing. The entire printing process is just a few seconds, which is quick and many colors can be printed at one go. And then after ultra-high temperature firing, you can complete a piece of high-definition beautiful terracotta rainscreen cladding product. The patterns of inkjet printing products are entirely transmitted through high-tech digital technology. Therefore, it can accurately reproduce every detail of natural stone, which is the real completion of the ever-changing pattern effect (the patterns on each piece of panel are different). LOPO 3D inkjet stone terracotta rainscreen cladding panels have been favored by designers since it was launched to the market. 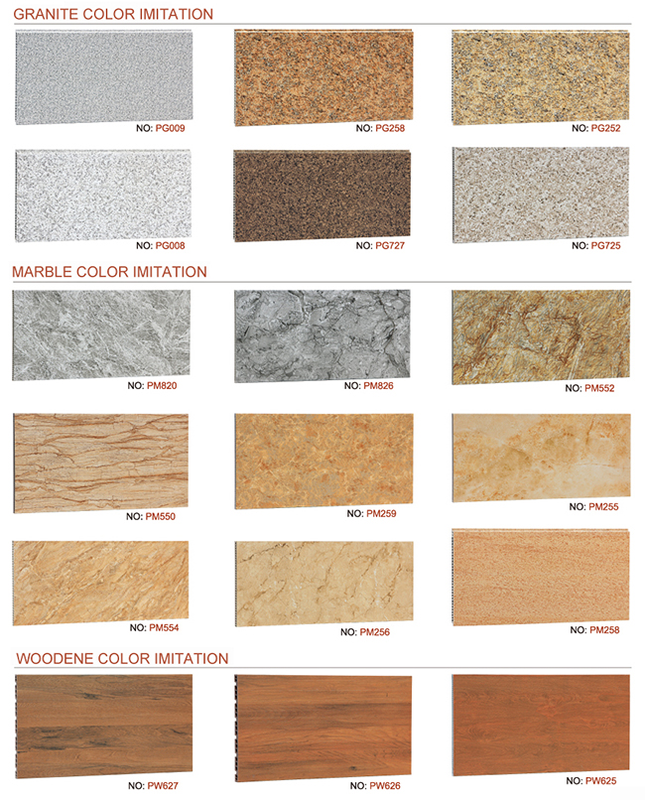 Natural stone texture is natural, solemn and solid, but it is limited by color and limited in colors, which is difficult to be controlled in terms of chromatic aberration, inferior in environmental conservation and prohibitive in price. LOPO 3D inkjet stone terracotta panels are analogous to the verisimilitude effect of natural stones, superior to natural stones in decoration effects and environmental conservation and more privileged in price. It is an ideal substitute of natural stone materials. Changsha Normal University belongs to public colleges, the school history can be traced back to 1912 by the famous educator Xu Te Li founded the Changsha County Normal School, It was formally upgrade from college to university in April 2013, named Changsha Normal University. The school has two campuses with south and north, the area more than 1100 acres, construction area of 328,400 square meters. Changsha Normal University with orange as the main color, orange on behalf of vitality, sunshine, vibrant lively, and students period is very consistent. The design use of lotus form as a source of inspiration, through the curve of the drawing highlights the shape of pre-flying pigeons. Meaning the wings of the students, and humanitarian teaching the nature of the school. 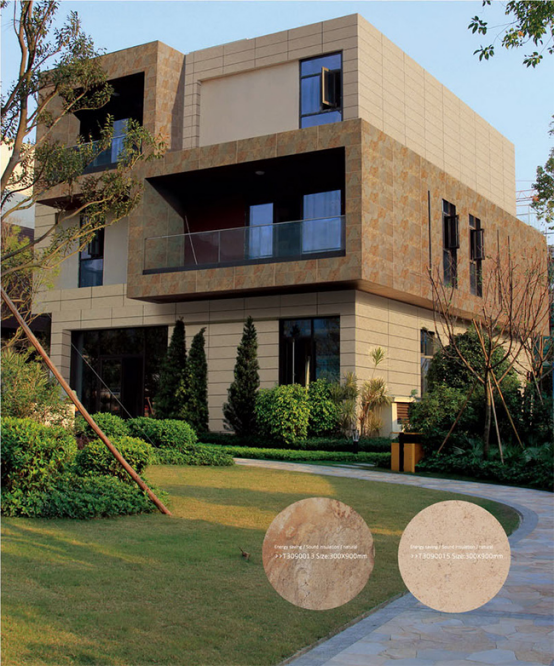 The architectural designers have selected LOPO terracotta architectural panels 450mm wide and 18mm thick. These panels combine vertically and horizontal installed to extend the vertical lines of low-rise buildings. Welcome to contact us for your own customized terracotta rainscreen panels. March 22 morning, Zhoushan City National Fitness Center officially opened. Director of the Sports Bureau of Zhoushan City Du Zhili, Zhoushan Cultural and television press bureau (Sports Bureau) Director Wang Jun Tao attended the opening ceremony. Zhoushan City National Fitness Center is located in Dinghai District Donghai East Road, which is the core area of Dinghai District. Before 2006, there is only one indoor gymnasium and outdoor stadium, people affectionately name it the “light stadium.” With the improvement of public fitness needs, Zhoushan City Sports Bureau launched a national fitness center construction, in order to provide more convenience to the people, and decided to take the original site reconstruction. After 8 years, a modern fitness center came out. According to Zhoushan City National Fitness Center Director Yu Yuehui’s introduction, the total investment for the center is more than 20 million yuan. Zhoushan City is the first in accordance with national standards for the construction of modern sports fitness comprehensive museum. The building area is 6,000 square meters, from 3rd floor to 5th floor there are specific area for basketball, volleyball, badminton, squash, tennis, swimming, wrestling and other activities venues, which will be used to carry out games, sports competitions, performances and other activities. The facade wall decoration material was supplied by LOPO, which includes natural plain surface panel/ grooved surface, irregular surface ceramic plate and baguettes.